The Ross Holmes Band has been chosen as “The Best Local Band” for the past TEN years in-a-row by the Columbia Metropolitan Magazine. 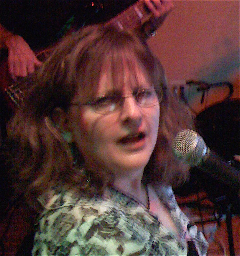 ROSS HOLMES (vocals) got into music late, after having had a successful advertising agency in Columbia, South Carolina for many years. He, however, always loved singing. Growing up in a musical family, he took vocal training in his teens and has managed to sing somewhere be it church, theater, jingles, glee clubs, bands, and even the navy choir. He started the ROSS HOLMES BAND in the late eighties and they have been going strong ever since. 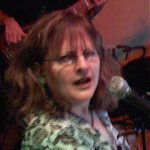 ALETHA (vocals/piano) is “that girl who sings with Ross.” Piano player extraordinaire, she has played in bars, bands, big bands, and even some orchestras from Columbia, South Carolina to Incirlik, Turkey. (The latter was on a DOD tour entertaining U.S. soldiers in Europe.) Gigs with famous musical acts prior to Ross Holmes include The Platters, The Shirelles, Mary Wells, Harry Watters, and John Pizzarelli. She received a Master’s degree from the University of South Carolina where she studied with the internationally acclaimed Bert Ligon. SCOTT BURKHOLDER (drums/vocals/lighting expert) studied percussion at the University of South Carolina and performed in USC’s Left Bank Jazz Band. He has performed on stage with jazz artists such as Marian McPartland, Bill Watrous, Rick Stone, Bucky Pizzarelli and Chris Potter to name a few. He has toured with the O’Kaysions and currently occupies the drum chair for the First Baptist Church of Columbia orchestra. Appearing on numerous recordings with the Ross Holmes Band, Scott has played with Ross for two years. CRAIG BUTTERFIELD (bass) is professor of Double Bass and Jazz Studies at the University of South Carolina. Comfortable in many styles of music, Craig has toured with the legendary jazz trumpet player Maynard Ferguson and played at several world famous venues such as the Blue Note in NYC, and Ronnie Scott’s in London. Craig has both produced and performed on several jazz CDs. In the classical field, Craig has performed concertos, given masterclasses and recitals as a soloist throughout the United States. He is a member of the Butterfield/Slotkin duo, a combination of double bass and classical guitar, presenting over 20 recitals and masterclasses a year. He has played with the Ross Holmes Band for the past year.